The reason why I haven't posted in a while is because of that one 70's show to which I quite can't remember the name of at the moment ;). It has recently taken all of my time and attention. It's just soo good! I can't believe I waited so long to finally catch up and watch all of the episodes. I saw a couple here and there when they had the re-runs on Nick at Night (i think it was). I really liked it but didn't continue to watch it. I recently found it on Netflix which is awesome!! So if you're looking for something to watch, I recommend this show. I find myself laughing hysterically at this (note: it could just be that I have a poor sense of humor) and I usually don't laugh easy. The good thing though is that I'm only on the 3rd season; I am so not ready for this show to end. BTW another show that has made me laugh hysterically is The Unbreakable Kimmy Schmidt which is a Netflix original. Doesn't Netflix just make the best shows ever!? For example, Orange Is The New Black which is seriously such a good show!! I recommend that you watch it! (Warning: have an open mind when watching this show). Any ways back to That 70's show. Did anyone know that Fez's name actually stood for Foreign Exchange Student but with a z. Don't worry I only know that because I googled it, don't think I'm some sort of genius that spots all these little details. I may have also cracked where he is from but i'll leave it a secret in case someone doesn't want to know (*cough* Google *cough* it *cough*). I was just really curious and decided to look up random facts. Like did you also know that Mila Kunis was only 14 when she auditioned for the role. She lied to the producers and said that "i'll be 18 on my birthday". Tricky little thing wasn't lying though she just didn't specify when her birthday was ;). Does anyone else find it extremely cute that Mila Kunis and Ashton Kutcher are still together in real life! I just love their relationship!! Ashton Kutcher was Mila Kunis first kiss as well! and could very well be her forever <3 Okay is anyone else's heart melting at the thought of it? 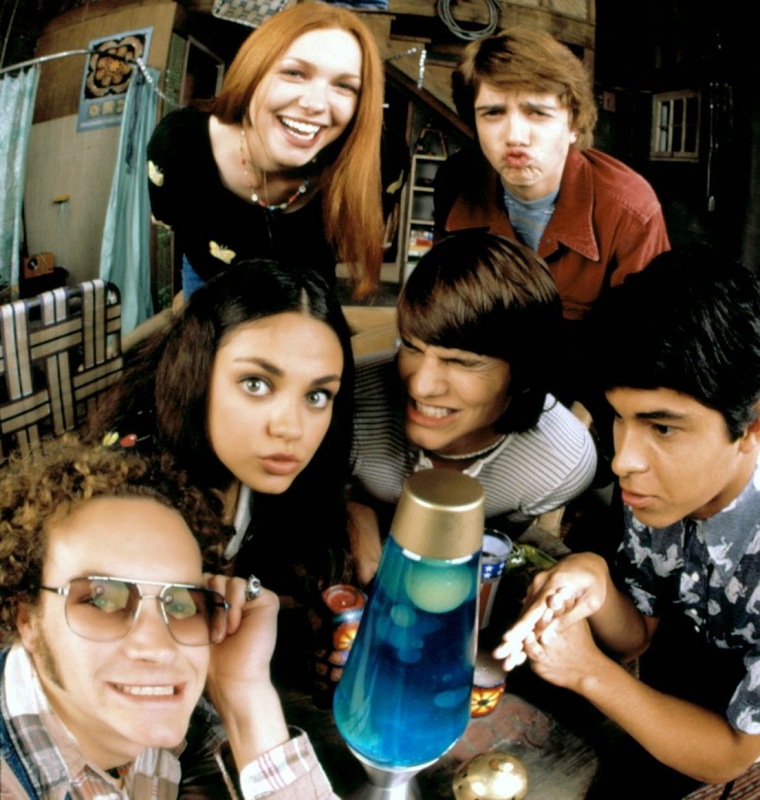 One last thing, the show wasn't actually going to be called That 70's show. They had originally planned some other names for it but decided that people might just say "oh have you seen that 70's show" and decided to call it that.